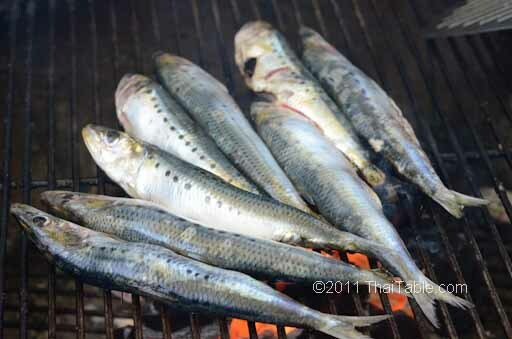 Grilled sardines are simple and simply Thai. Dishes like curries and noodles are influenced by foreign cuisines; grilled fish is core and basic. We live along canals, rivers and oceans. Fish is caught and turned into meals for today or dried and preserved for days to come. 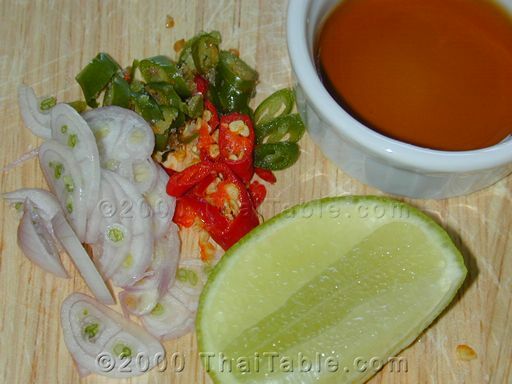 The role of fish is so traditional that when Thais receive guests at home, we always ask the guest if they have eaten by asking if you, "Gin kow, gin pla?" or "did you eat rice and eat fish?". 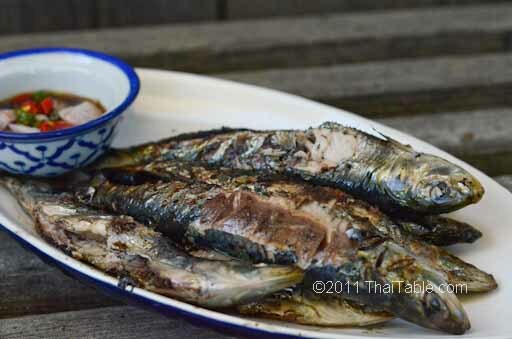 I made grilled fish when we got the fresh sardines and preserved the rest in the form of fish sauce. 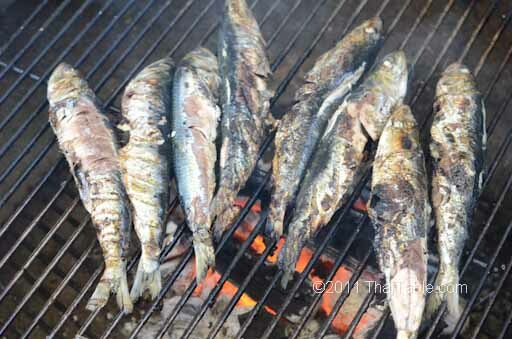 The grilled sardines can be served with chili fish sauce (nampla prig) or chili sauce and fresh vegetables. Prepare your charcoal. I like the natural charcoal best. It’s easy to light and gives the fish a smoky aroma. With sardines, you don't need to scale the fish. The scales will partially protect the fish from burning. You can scale them if you want, but since you don't eat the skin it's not necessary. Make sure the grill is hot before placing your fish so that the skin doesn’t stick to the grill, especially with fish with delicate skin like sardines. Check after 2 minutes. How long it will take will depends on the size of your fish and the heat of your fire. Even if you make a mistake and the fish doesn’t look perfect, it will still be delicious. 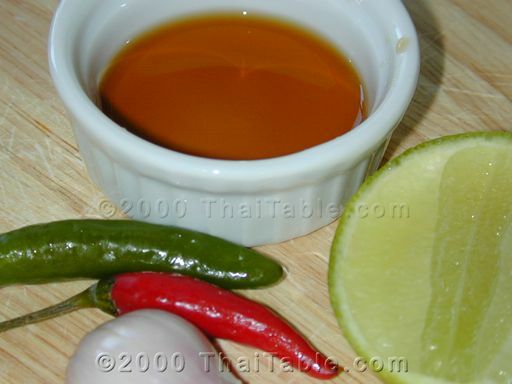 Serve with chili fish sauce and fresh vegetables.